TAG Heuer Monaco - Time for a Champion? In 1969 the Monaco was the first ever water resistant watch with a square case and working on the Chronomatic Calibre 11, first ever square automatic chronograph. 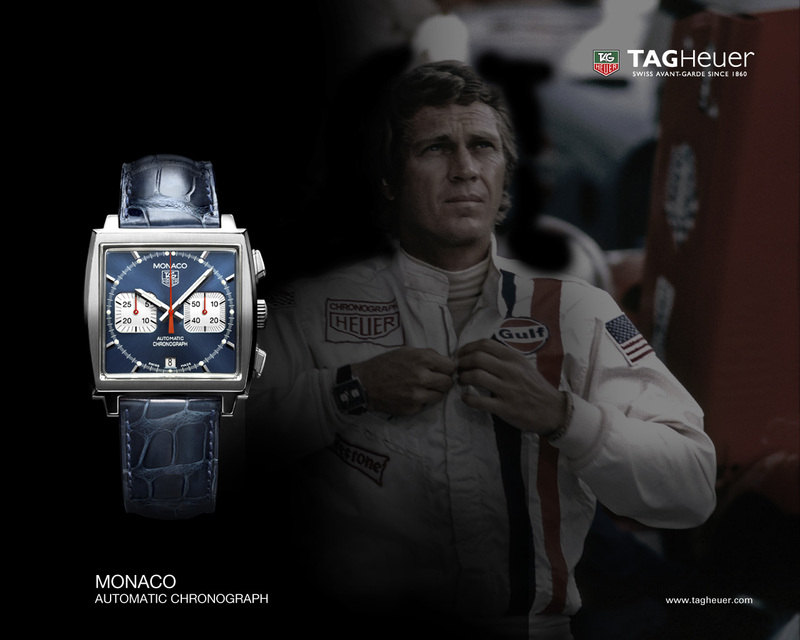 What helped to make the Monaco legendary was the fact, that Steve McQueen wore it in the film LeMans. 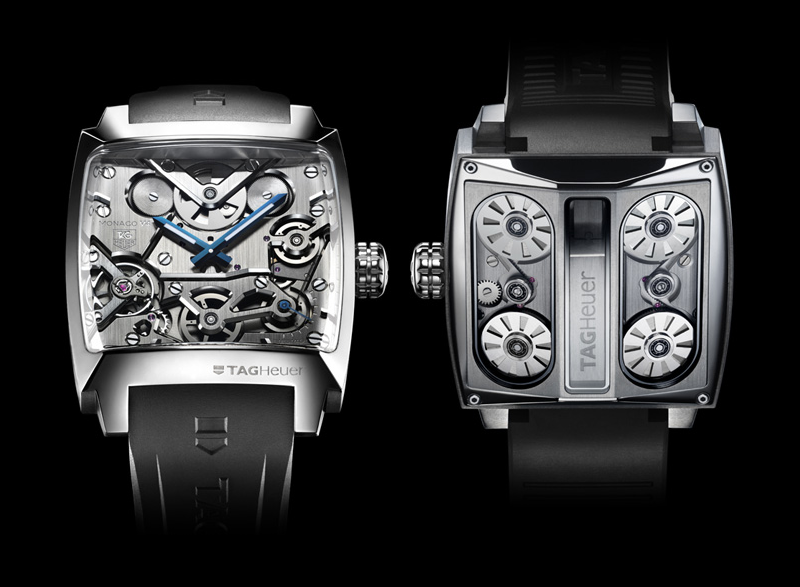 Since then, the Monaco has remained as a highly desired piece of elegant watch and racing history. And how has Monaco developed? 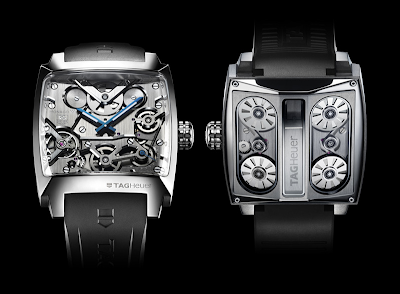 Take a look at the Monaco v4 - the first belt driven timepiece! Talking about sweet! 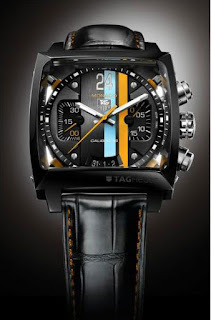 If you have any opinions on TAG Heuer Monaco watches or would like to share pics of yours, please feel free to comment or send me email through the "contact me" button in the navbar! Celebrating their 5th anniversary, Cuenca Cigars has released a limited production cigar called, surprise surprise, 5 Anniversary. The cigar comes in a form of a box pressed torpedo, sized 7x54. The dark Habano wrapper gives out a silky hue which is a pleasure for the eye. The cigar feels good in hand (although i do not prefer pox pressed) and seems to be of a good construction. The unlit aroma gives promise of something flavorful with hints of cocoa bean and black pepper. The large torpedo starts out with an abundance of smoke and a sting of spice and pepper, soon to mellow down. When past the blast in the beginning, the flavor profile offers a good balance of spice, leather and black pepper underlined with a sophisticated sweetness. This medium bodied cigar offers good balanced complexity, which does not, however, develop quite enough down the road for my palate. Nevertheless, a great cigar to celebrate anyone's birthday. Happy Birthday Cuenca! Well done. 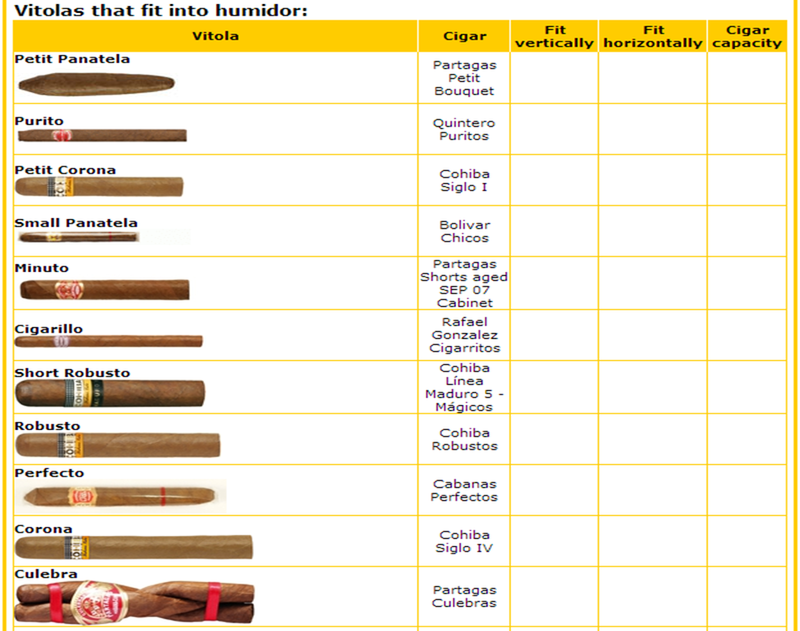 How many cigars to fit in your next humidor? 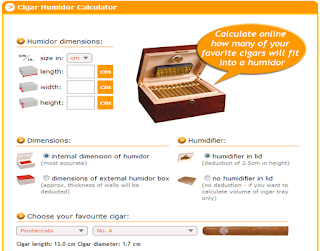 My friends at humidordiscount.com have launched an useful service on their site. http://www.humidordiscount.com/humidor_calculator.php leads you to a page where you can feed in the measures of the humidor you are considering to purchase (or any other) and see how many cigars of different vitolas fits in. 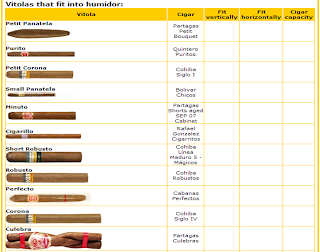 You can set default to your favourite cigar to quickly see the results. The only improvement i suggested to them when reviewing the service was that you should be also able to feed in the quantities of the cigars you are going to store in the humidor, and the service gives you back the minimum measurements and suggestions from the product range. Now wouldn't that be convenient? If this suggestion flies and they introduce this service, i will most definitely utilize it when considering the choices for my next humidor. I greatly recommend you all to check out the service. When i review cigars here on World of Cigars, i usually write down notes to what ever paper i happen to grab with me. Usually i then forget about the notes and they end up in trash, preventing me to go back to them if i do a comparison of certain cigars with different age. There most probably was some notes on the paper which did not reach the review on the site and might be significant when returning to the cigar when there is few years on them. A shame really. To help me out, my Friend Kyle Gellis sent me this really nice cigar journal! Nice execution and attention to details. 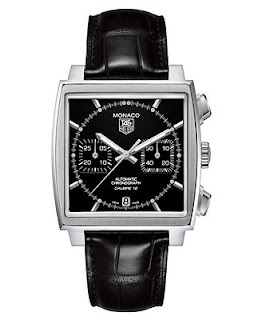 A great high quality product. I love the quote from Winston Churchill on the first sheet. I will most definitely use this notebook for all my future notes for my reviews.